We’re thrilled to have won the Small PR Agency of the Year award at the Prolific North Awards 2017. The biggest creative and digital awards outside of London, this was the largest Prolific North Awards in its history and companies from all over Manchester were out in full force in the hopes of winning a coveted big red N.
At Roland Dransfield, we’ve been offering bespoke PR services to our client base for 21 years, but we’ve diversified our offering over the years to ensure we remain relevant and sustainable in a competitive industry. We’re the oldest new kids on the block! 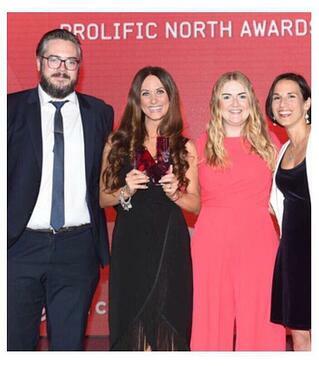 A massive thank you to Prolific North for awarding us with our wonderful accolade, and congratulations to all the winners and those who were shortlisted!